in just one day of racing. win an event, but ample chance to lose. start, they set the pace to beat for rivals L'Estage and Nathalie Richard in the Rockstar Mitsubishi. referring to the Subaru driver's choice of his Yokohama snow tires heading into a midday stage. 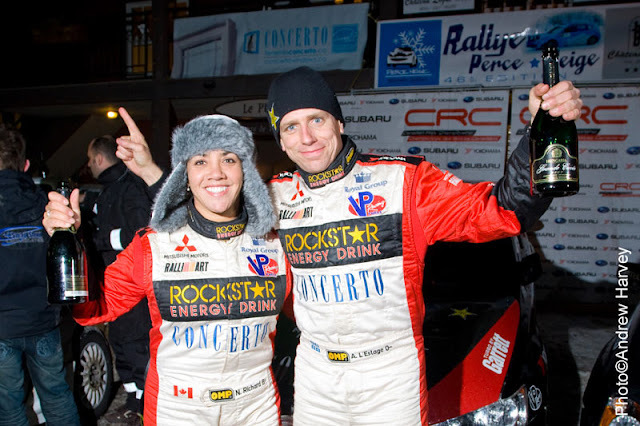 vital in his hunt for the 2011 Canadian Rally Championship title. “I can't make the same choice as Antoine because we're so closely matched, we'll get similar times. To make up any time I need to gamble on tire choice and try something different,” said Richard. finding it challenging to drive at the correct pace to keep his first place position secure. win at this event in 2010. The team finished second, nearly 30 seconds ahead of third place. Zedril (Winnipeg) finished in their two wheel drive Mitsubishi. The brothers managed their pace carefully through the entire event, showing why they are reigning champions.“This event was so much about survival, just getting to the end.” said Jan.
limited communications prove very challenging for organizers. 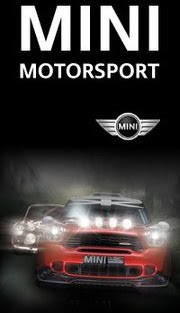 The 2011 season continues May 26-27, at the Rocky Mountain Rally, headquartered in Calgary. unpredictable conditions that make the event so compelling.